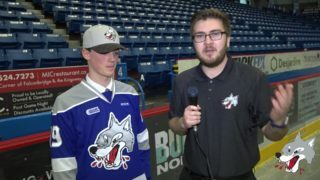 The Sudbury Wolves are pleased to announce that forward DAVID LEVIN is the first player selected in the 2015 OHL Priority Selection, sponsored by State Farm. Levin, 15, played for the Don Mills Flyers this past season and led the Flyers in scoring with 80 points in 55 games including 39 goals. The left-shot forward can play all forward positions, but excels the most on the right side. Levin now stands 5’11” and weighs 170 lbs. 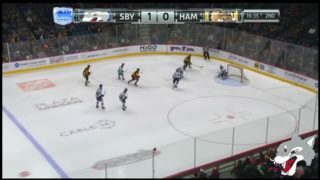 Levin is the winner of the OHL’s Jack Ferguson Award for being selected first-overall. Levin was born and raised in Israel and moved to Canada at 12 years of age to live with relatives in the Toronto area. 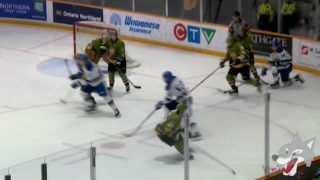 Levin has only played organized hockey in Canada for three years. His stick-handling skills were developed by playing in-line hockey in Israel at an early age. Levin has transferred his puck-handling skills to ice hockey with resounding success. Levin’s birthdate is September 16th, 1999 which means that the skilled forward will not be eligible for the NHL draft until June of 2018. 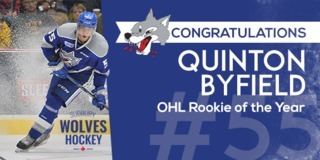 His birthdate will allow him to benefit from three full years of development with the Sudbury Wolves. 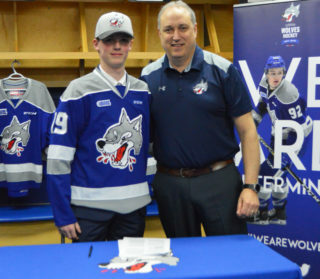 Levin joins a number of highly-skilled forwards to be selected first-overall in the OHL Priority Selection since the Wolves selected John McFarland first-overall in 2008. McFarland was subsequently drafted by the NHL’s Florida Panthers in the 2nd round of the 2010 NHL Draft. 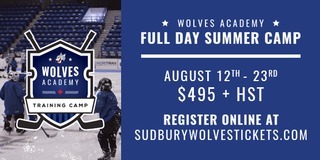 Wolves’ fans will get their first look at the newest Sudbury Wolves’ forward on April 25th and 26th when the Wolves host their annual Rookie Orientation Camp at the Countryside Arena. Scrimmage times TBA.